So Before I go on any huge trip (this time to the Philippines) I take out the bags I want to pack and THEN I grab all the things I would like to take with me. I pack VERY light and only take carry on bags with me when I travel. 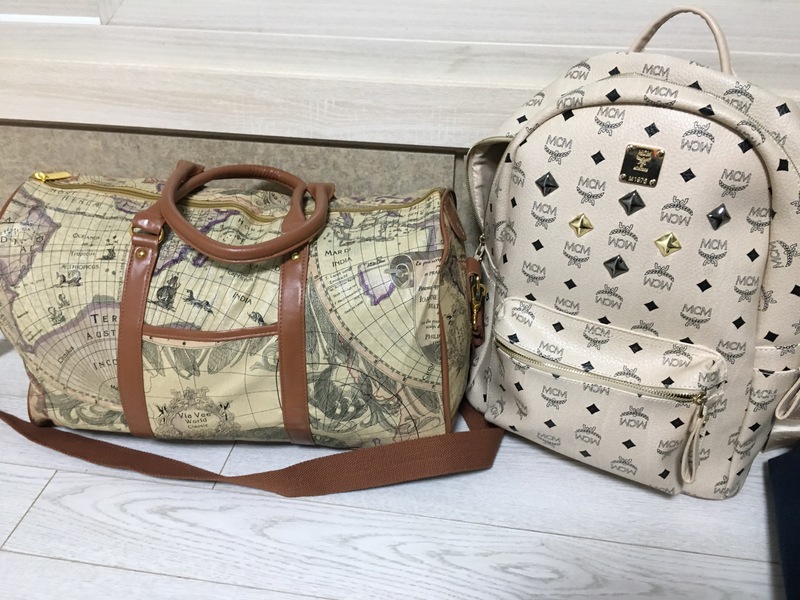 My main travel bag (personal bag) is what I take with me EVERYWHERE I go during the day and my other bag is just for clothes and shoes that I leave at the hotel. 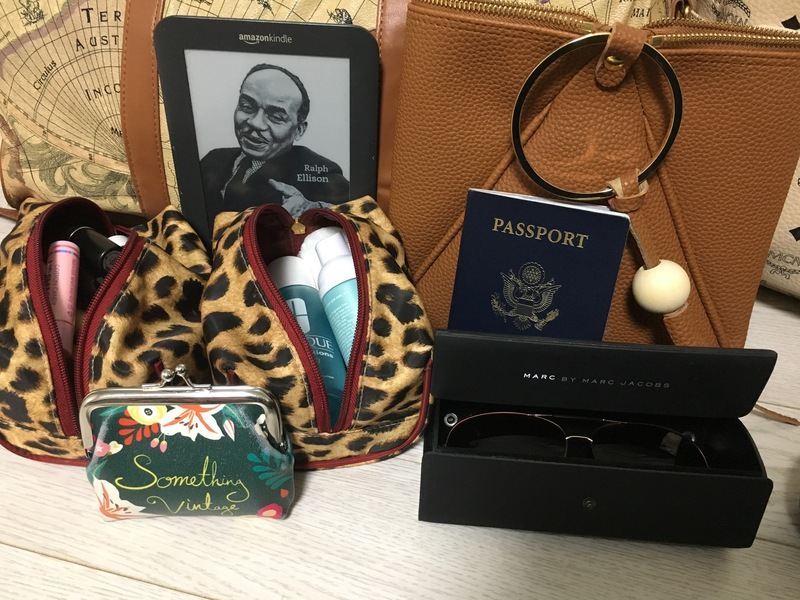 If you are in need of ideas to pack in your bag when you go on vacation check out my list below! 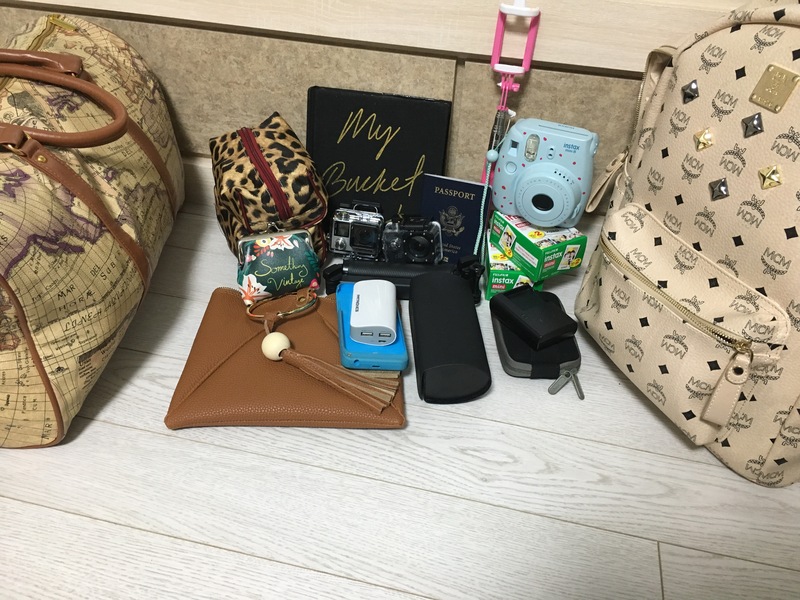 So as you can see, I have quite a few things in my personal bag when I’m traveling to different places! Again, I am a HUGE selfie/picture taker so of course I’m going to have a lot of gadgets to help assist with my hobby! Now to Break everything down! I take my 1. selfie stick, 2. 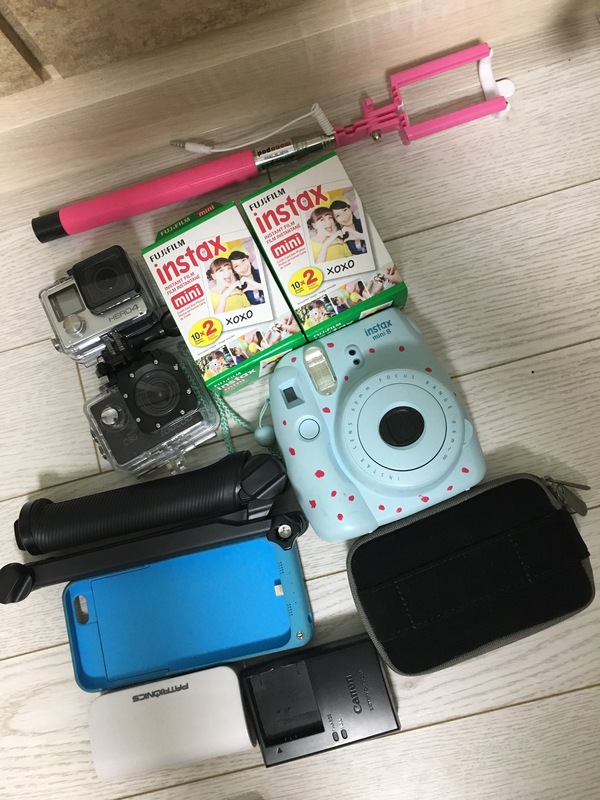 Polaroid camera with extra film for my scrapbook, 3. multiple portable chargers for my phone and camera, 4. an actual camera, and to top it off with my 5. GoPro accessories! I absolutely love using my GoPro underwater and I always find water everywhere I visit. Now for my personal items, Since I don’t carry a purse with me when I’m traveling, I pack a 1. few clutches for the nightlife and put them inside the bigger clutch, I ALWAYS have my 2. passport, 3. two pairs of sunglasses in one container, 4. my kindle for my relaxation time or to pass time, 5. facial wash/hygiene products, 6.makeup bag, and of course there’s 7.cash in the coin purse! I don’t like using my debit card when traveling and plus gives me a better way of balancing my budget! Secret: both of the cheetah print bags are makeup bags that I got in a set at Marshalls for $5.99 and have used them for soo many other things including my jewelry bags! 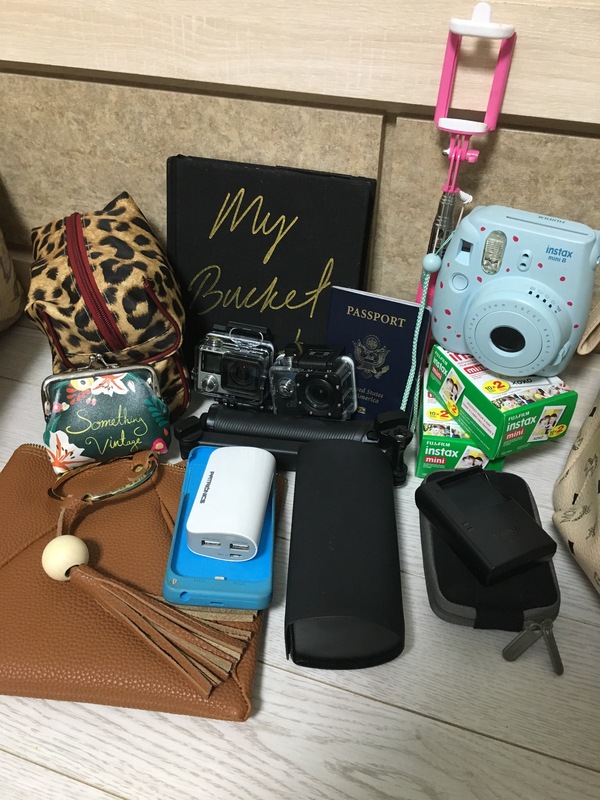 What do you pack when preparing for a trip? ← Why The Holiday Season is soo special!